Nathaniel Hasty, a pirate from New England and his wife Elizabeth, a school teacher from Boston, settled in “Ponce Park” during the 1870’s. By 1881 they had built and established a small fishing village and trading post where Elizabeth Hasty served as a Post Mistress for twenty-four years. 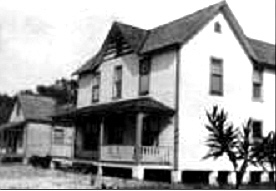 In 1908 Elizabeth Hasty sold the property to Frank E. and Annie Eliza Stone. The Stone family, including six-year-old Valda, moved from Titusville to “Ponce Park” joining a handful of families living at the Inlet. The Stones owned the only commercial fishing dock and soon were operating the Post Office, a general store, and an orange grove. While visiting a relative in South Carolina, daughter Valda Stone met B.G. 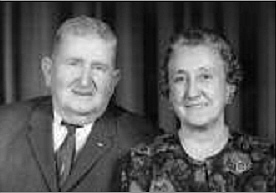 Timmons whom she later married, and they returned to "Ponce Park". After the death of her parents, Valda and her husband continued her mother's river row boat business. Later in 1948 they officially opened Timmons Fish Camp. Business was conducted out of the old family homestead until 1951 when a new boat booking office was built. B.G.Timmons served as the second mayor of Ponce Inlet and played a major part in obtaining the charter for the Town of Ponce Inlet. He served on the Ponce Inlet Commission until his death in 1970. During the 1960's Valda and B.G. Timmons son Frank brought his newly completed party fishing boat the "Marianne" to berth at the fish camp and began running deep sea Red Snapper fishing trips. Seeing that more, and larger boats were needed to keep up with the business, Captain Frank added the "MarianneII" and" Sea Love" and moved the charter boat business down the street to the Sea Love Marina. Captain Frank Timmons is recognized for pioneering the party boat fishing business out of Ponce Inlet. After moving the boats to the new marina office, Timmons Fish Camp was converted to a fresh fish market and a small grocery store serving the locals and restaurants with fresh fish. 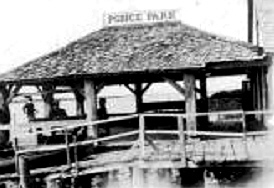 Many big "fish stories" were told over beers, some which go a little "too salty" for the ladies, so Captain Frank purchased the family fish camp and built a bar on the waterfront for the fishermen. This was the original Down The Hatch pub located next to the fish market, currently our inside bar area. Soon someone said "Hey, how about a fried fish sandwich", and the restaurant was born. 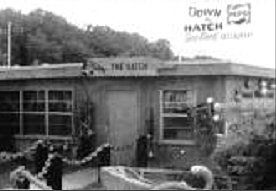 In 1977 the over the water dining room was constructed and the pub became Down the Hatch Seafood Restaurant. As the popularity of the restaurant grew, an outside deck and modern kitchen were added. Captain Frank Timmons and his family developed his parents original "Timmons Landing" of the 40's into the present day Down the Hatch Restaurant and Sea Love Marina. SEE YOU AT THE HATCH!